(Caroline Glick – Breitbart) For 70 years, the British Royal family has boycotted Israel and so refused to officially come to terms with its very existence. It isn’t that Israel has been completely overlooked. While Queen Elizabeth II, who has clocked more travel hours than any other British sovereign, has made a point never to step foot in Israel, her husband Prince Philip and her son Charles, the Prince of Wales, have come to Israel on private visits. Prince Charles attended the funerals of the late Yitzhak Rabin and Shimon Peres on such “private” trips. 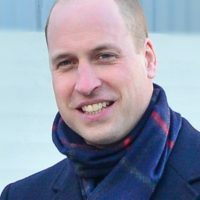 Now, on June 25, The Duke of Cambridge, Prince William is set to “make history” by becoming the first British royal family member to come to Israel on an official visit. That is, 70 years after Israel’s founding, the British royal family has finally decided to make its peace with the fact of Israel’s existence. “He [William] will be received here with great enthusiasm,” Netanyahu promised. Netanyahu should have curbed his enthusiasm. According to a report of William’s planned itinerary in the Yediot Ahronot Hebrew daily newspaper Tuesday, Kensington Palace is going to great lengths to snub Israel and insult the Netanyahu government during his trip. On June 28, the last day of his visit, William will travel to the Old City of Jerusalem, Israel’s capital. Jordan illegally occupied and annexed Jerusalem’s Old City, along with the rest of eastern, northern and southern Jerusalem, during the pan-Arab invasion of Israel at its birth on May 15, 1948. Israel liberated the areas during the 1967 Six Day War and quickly incorporated them into Jerusalem’s municipal boundaries. Prince William’s father and grandfather both paid private visits to the area. Prince Philip’s mother, Princess Alice of Battenberg, is buried at the Church of Mary Magdalene, adjacent to the Mount of Olives. Both royals visited her grave.